Build a quality dream home. The owner is currently working with a builder that can provide you with a SPEC home on this lot. Bundle lot and home pricing available. Call agent for further details. 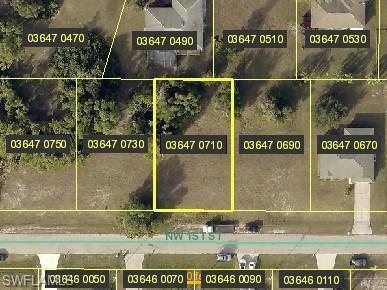 Centrally located in the NW section of Cape Coral. Near Walmart, Famous Footwear, Bob Evans, and plenty of fast food restaurants.